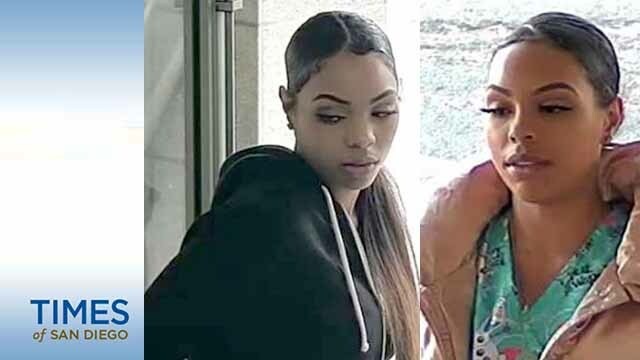 Photos are being circulated of two women suspected of defrauding victims of about $44,000 at Bank of America locations around San Diego County. One has stars tattooed on her neck. On Jan. 10, the pair wearing medical scrubs hits Bank of America sites in Carlsbad, according to San Diego County Crime Stoppers and the Carlsbad Police Department. 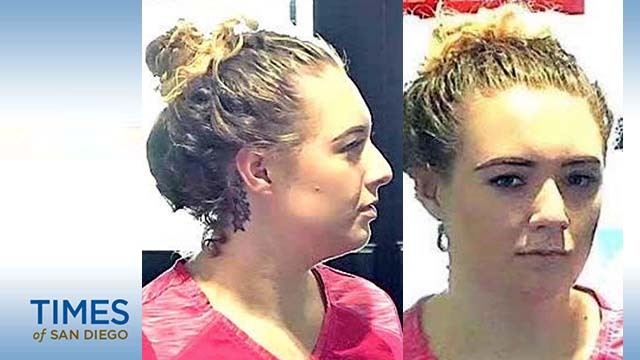 “One female suspect was the driver and the other female suspect would contact the victim in the parking lot, asking the victim to cash a check usually for the amount of $4,900,” authorities said. Anyone with information on these women should call the Carlsbad Police Department’s Financial Crimes Unit at (760) 931-2173 or the Crime Stoppers anonymous tip line at (888) 580-8477. Crime Stoppers is offering up to a $1,000 reward to anyone with information that leads to an arrest in this case. Anonymous email and text messages can be sent via sdcrimestoppers.org.